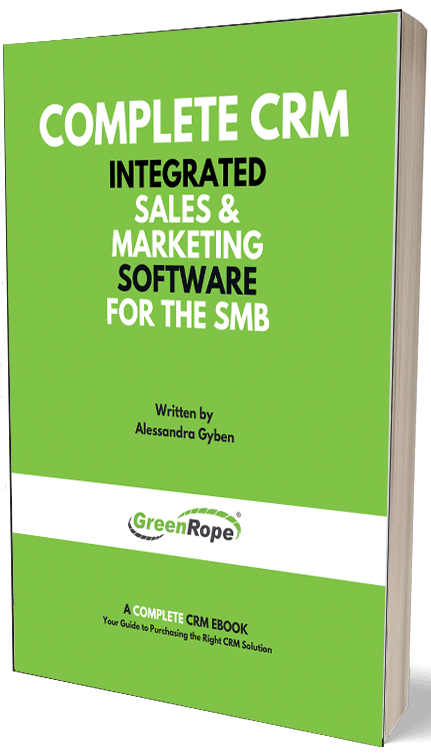 Blog and News | GreenRope :: Is Inbound Marketing for You? How do I get my company noticed? This is a common question that marketers or business owners are constantly asking themselves. You’ve worked so hard to get to this point, but haven’t had the chance to show people what you have to offer. This can be very frustrating, and it is difficult to know where to begin. As you may know, this is where marketing properly to your market can be a game changer. But, what type of marketing strategy will be the most beneficial to your company? Here, we will be talking about inbound marketing to give you a different perspective from the traditional outbound marketing practices. Basically, inbound is attracting, and earning customer visits through different avenues during their search process, and making information about your product or service readily available. The content that is produced should be interesting and enriching for the reader since the ultimate goal is to solve their problem. Keep in mind, marketing strategies are ever-changing, so there is no perfect marketing plan to guarantee success. There are ways to help your efforts become successful though, and it is important to have a multichannel marketing plan that includes both outbound and inbound marketing to ensure that you are reaching your target. Some of the strategies that I list below tend to work better in unison rather than independently. You may also find that some platforms aren’t necessary or beneficial to your company or industry, so play around and create your own formula after you have read this. While inbound marketing is a strategy where you attract visitors to your site, outbound refers to marketing that pushes content and advertising efforts to a wide audience. With so many stimuli tugging at every ounce of the customer’s attention, outbound marketing efforts can go unnoticed, either purposely or not. Outbound marketing certainly does have its benefits, but use your judgment to decide which avenue is best for your company. One example is your company website. Instead of sending out flyers or ads about your company, you can take efforts to make your site optimized on the web (SEO). One example is by using keywords that your customer would think of searching for a product or service like yours. Try to use words that your customer would use. For example, when someone is searching for a highly technical item, the words they use to search will likely be more formal versus a product for one’s pet. The tone for a search such as a pet item will likely be a more casual tone. Also, try to find out what other words are used to describe your product or service. This can increase the likelihood of the searcher finding you. To help you decide which keywords to focus on, Google Keyword Planner is a free tool that is available to identify keywords and their search volume. Usually, when people begin their search on the web, they already have an idea of what they are looking for. They either start right away by typing in their search in Google or another search engine, or they begin looking at what content you have available on your website, social media sites, blogs, etc… to find out more about your company and what you can offer to them. They may look at your website for videos or webinars explaining processes in detail, your company’s blogs to get more insight on a specific topic, or your social media sites for more information and current happenings as well as what other customers are saying about your company. Ultimately, the content that you have available on the web can be a deciding factor of whether this person pursues your business or not. In addition to having rich content available on your sites, PPC ads are helpful tools if placed in appropriate places to help get your content out there. An example of a good PPC campaign would be to offer a free ebook. During the search process on the web, the customer might come across your ad and become curious to learn more and click it, and from there, become a new lead and potentially, customer. Why Should I Use Inbound? If you have a tighter budget, your dollar will go further. If you are constantly paying for newspaper ads, paper brochures, or commercials, for example, these costs can add up very quickly if you aren’t correctly putting them to use. ROI for Outbound strategies are also more difficult to measure compared to inbound strategies. The positive thing about inbound marketing is that there are a lot of tools available to track the analytics of your efforts. Social media websites often have their own reports that you can access to see how your engagement is doing and information on who is engaging with your sites. Another way to better track your site traffic is by tagging your URLs. If your content is being published or your company mentioned around the web, data on which sites are driving the most traffic can get messy and hard to distinguish if you don’t assign a tag or campaign ID. Google analytics is one tool that can help you narrow down customer clicks on your links by allowing you to separately tag each website so you know which clicks are coming from where. This will aid you in determining a more precise ROI, and give you the opportunity to make changes where you see necessary from these analytics. These analytics will also give you a chance to be more agile in your marketing tactics and strategies, and move more quickly to another strategy if something isn’t quite working as you’d thought it would since you can see the results instantly. Now how do we get their attention? Since the goal of inbound is to not push information onto the customer, it’s important to make sure your site comes up when the customer is searching. You can do this by optimizing your website for SEO. Your company website is one of the most powerful tools you can have in your digital toolbox on the web, so make sure that your site contains relevant and SEO friendly content that ranks in search engines. Showing some reviews that have been left by current customers may be a nice touch to add to your page to show how you have helped other people or companies, and they took the time to leave a comment. Testimonials, review sites, and listings are a great way to drive traffic to your website and illustrate your clout. Not only should you utilize SEO, it is important to ensure your website has a lot of detail and necessary information on it, since they are coming to you site for more information! As I mentioned earlier, these potential buyers/leads already know what they are looking for and know the basics of your product based on ratings and reviews, related searches, and item descriptions. Social media is another tactic used in inbound marketing. Keep people in the loop about your company and create engagement through your posts, along with offering content that is helpful and relevant to them. Link your social sites on your main webpage so that it is quick and easy for them to click and follow you if they decide to. Blogs are a good way to keep your reader in the loop with current happenings in your industry. Not only can you blog about tips you’ve learned from experience or from your research, you can give them tips based off of your findings. Try and offer as much help to your readers as you can. This will build credibility and will portray a positive image of your company since you are trying to help them out as much as you can. Showcase yourself as a thought leader through blogs and contributed articles to other websites and blogs in your industry. If you have a list of contacts that have your permission to send email to, this is a great way to try and convert them to leads. Offer them helpful or relevant information in these emails, and lead them to other sources for company information such as your website or your social media sites. People don’t want to be bothered with what you have to offer, but more so, what solutions you have to their problems and how you can help them. Tailor your email to suit your contacts, and nurture them. If your tracking shows the original content you sent them doesn’t suit their needs, try finding out what does by changing up your content. Nurturing is not only important for new prospects, but for also the loyal customers you currently hold. These are the people that will turn into your advocates. Take care of them! Webinars are helpful especially if your product is more technical. Some people are hesitant to commit right away to something they think could be complicated, expensive, or difficult to use. Ease their mind by inviting them to webinars, and show them how to use different features of your product without them feeling the pressure to commit right away. Once they learn more about the product or product features and have the opportunity to ask questions and hear you speak about it in detail, they may have a change of heart! All in all, inbound marketing definitely has its perks. It is not only a budget friendly strategy, but it is also non-invasive to your customers buying journey. The ROI is much easier to track than outbound strategies, and the analytics from inbound strategies allow you to have a more solid visual of what is working, and what is not. Remember to always track your efforts whether you are implementing a new strategy or continuing a current one. This way, you can tweak as you go, and will always know where to put your next marketing dollar.